Universal Car suction cup mount to attach to the windshield is the front part through the ball joint in all directions swivelling and can be fixed, the holder can be individually the unit size adapt to lateral clamping JAWS with MOSS rubber provide a stable hold and protect from scratches quality ideal for travelling in the car or truck color: black delivery: 1 piece is compatible with : Tablets, smartphones, eBooks, Navis etc. Device height from 115 mm to 220 mm device depths up to 15 mm. 4 directions rotatable cradle, allows you to easily adjust cradle horizontally or vertically. Cradle grip spread range: 55-75mm. 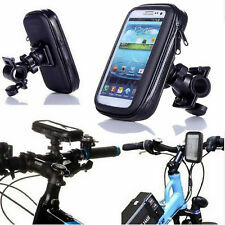 1 x Universal Car Air Vent Mount(Black). Easy to install at Car Air Vent. 【DURABLE AND EASY TO USE】 Material: ABS rubber; Net Weight: 0.089kg; Well made, hard and durable; Black matte grain processing, no reflective, not dazzling;Touches smooth; One hand operation, easy to use. 【EXCELLENT VIEW POSITION AND SAFE DRIVING】 Works as well as the HUD system; Keeps your eyes in line with the road; Clip the car smartphones holder on the dashboard and adjust the angle as your requirement, you will get a good vision on the screen. .
1 x non-slip mat. The images are for reference only. Washable, can be used repeatedly. 1 x support. (1) Powerful suction cup with silicone sticky pad firmly sticks to dashboard, windshield and most other surfaces. 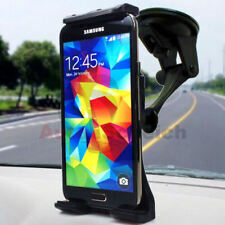 2) Rubber pad grip with heavy-duty clamp ensures your phone will not move while driving. 1 x non-slip mat. The images are for reference only. Folded stand size: 4.13 2.68 2.72in/10.5 6.8 6.9cm. 1 x support. Compatible with: Apple iPod Touch & iPhone 3GS 4 4S 5 5S 5C 6 6S Plus 8GB / 16GB / 32GB / 64GB / 128GB & Samsung Galaxy Note 1 I 2 II 3 III 4 IV 5 V S3 SIII S4 SIV S5 SV S6 SVI S7 SVII 3G 4G LTE Wi-Fi Cellular etc. 360° car Smartphone bracket for attachment to the ventilation grille the front part is 360 ° rotatable and Tiltable and adapts individually to fit of your Smartphone side clamping JAWS with MOSS rubber provide a stable hold and protect from scratches quality color: black comes with: 1 PCs compatible brand / model: ideal for travelling in the car or truck universal fit for all smartphones with maximum width of 5 cm to 11 cm. Product Universal Mount for grille. Phone: (0209) 36697669. Modellkompatibilität Für Sony Xperia Z3 Compact. Produktgröße Universal. Markenkompatibilität Universal. Modellkompatibilität Universal. Markenkompatibilität Für Sony Ericsson. This wall mount phone holder can give your phone and tablet a safe dock while charging. It is the perfect storage solution for your iPhone when it is charging. LG Nexus 5. iPhone 6/6s 4.7". iPhone 6 Plus 5.7". Hold your devise securely whilst on the move. Fully adjustable with suction mount. Drive Safely - Hands Free Holder. One hand operation, easy to use. 【EXCELLENT VIEW POSITION AND SAFE DRIVING】. Material: ABS rubber; Net Weight: 0.089kg; Well made, hard and durable; Black matte grain processing, no reflective, not dazzling;Touches smooth;.